Hale Ikena (casa con vista) ... Suite perfetta luna di miele ... Spazioso, lussuoso, molto riservata e tranquilla. Sicuro, parcheggio fuori strada. Piscina privata con cascata. Brezze fresche sul lato sopravvento di Oahu. All'alba, North Shore si sente, ma a soli 25 minuti da Honolulu. Proprietà collegata alla terra di conservazione con sentieri. Grande, cucina, rinnovato di recente. Ottima vista della baia e sulle isole da ogni parte del appartamento 1000 piedi quadrati. patio giardino privato. Un ben ristrutturato bagno con doccia solo. Anche una doccia all'aperto a bordo piscina. View of the bay from the panoramic windows in the unit and from the dual-level patio is amazing. The unit is comfortable and has everything needed to have an enjoyable beach vacation (chairs, umbrella, snorkeling equipment, beach towels, etc.). Relatively short drive to town center for groceries, restaurants, and shopping. Nice and pleasant stay with incredible views and sunrises straight from the bed and the entire place. Beautiful side of the island with amazing views around! Our kids enjoyed the pool. The kitchen is well equipped with anything you might need to prepare meals. The owner is very nice and helpful too! The pictures don't do it justice. It's bigger and more comfortable than you would think. We covered the entire Island on our trip, but realized that we could have spent an entire week just exploring within a couple miles of this beautiful location. Beautiful views, comfortable and quiet! This rental unit was exactly as we expected! Easy check in and check out, the unit had everything you need, great hosts that stayed out of the way but were available if needed. The views were amazing and we were pleasantly surprised at how quiet the area was. This property has everything you need and is perfectly situated on the island. 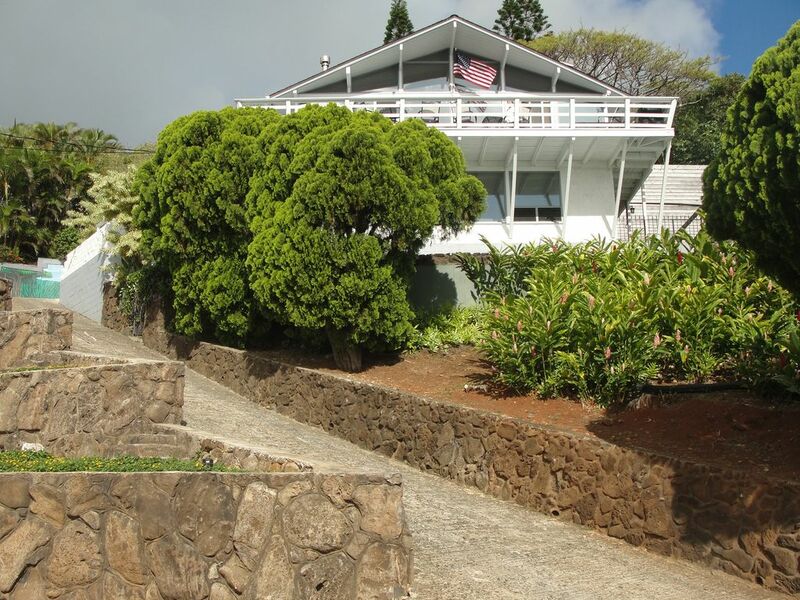 Kaneohe is a great location to stay to enjoy exploring the entire island. We spent time at the north shore, in Honolulu, and many points in between and nothing felt like a long drive. We enjoyed snorkeling and hiking at many locations around the island but could have stayed close to Kaneohe the entire trip and had plenty to do. The property is beautiful with marvelous views all around. Sunrise, sunset, the night sky, and each new day offers a unique and truly captivating view. It is also quiet and peaceful at this location. The rental is one large space and was just perfect for myself and my two boys, early 20s. John was available and responsive to any questions and has provided everything you need in the kitchen and plenty of quality towels for use as well. The bed was very comfortable and the queen air mattress is new and also very comfortable. If the sleeping arrangements fit your traveling party I highly recommend this property. We will be back for sure!